Eerie Presents El Cid, with script by Budd Lewis and art by Gonzalo Mayo, is available now from a bookseller near you. The publisher is Dark Horse. Pretty good artist, but he sure must have admired Frazetta’s work. I found another swipe in a story called “The Beast Of Arnaad Doom”, this one from Frazetta’s famous neanderthal Creepy cover. But, like I said, I like his art, AND his taste! 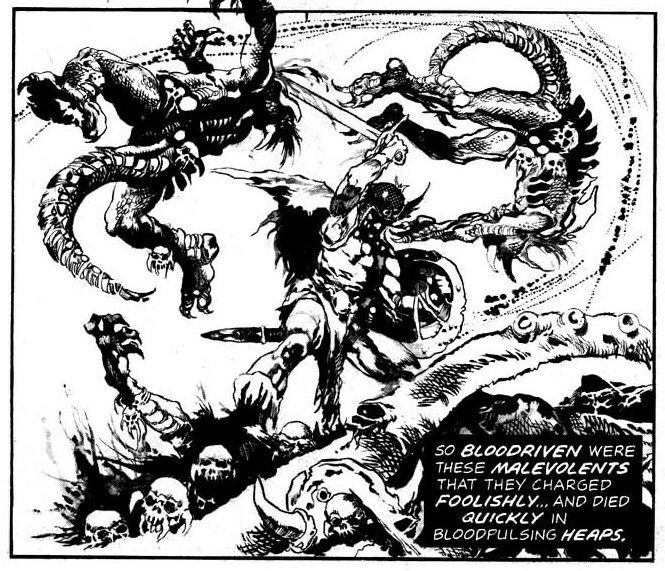 Swipes from Philippe Druillet’s Lone Sloane and Esteban Maroto’s Wolff et La Reine Des Loups (co-written by Sadko) have been identified in El Cid here. I have mixed feelings about “swipes,” and the current trend of simply lightboxing celebrity photos (Greg Land) or, badly, redrawing them (Bryan Hitch) sickens me. In the case of Mayo and Druillet though, I see it almost as an amusing game. I am sure I am revealing my own biases here, since I am a huge fan of Druillet and a recent convert to Mayo (and Maroto) but, at the very least, Mayo seems to have actually drawn the swiped pages instead of tracing them. And, in “borrowing” from Druillet, he showed excellent taste. “El Cid” is such a bizarre read. Almost incomprehensible at times, with art and panels that seem almost haphazard. Yet somehow magnetic. Somewhat relating to the topic of swipes. 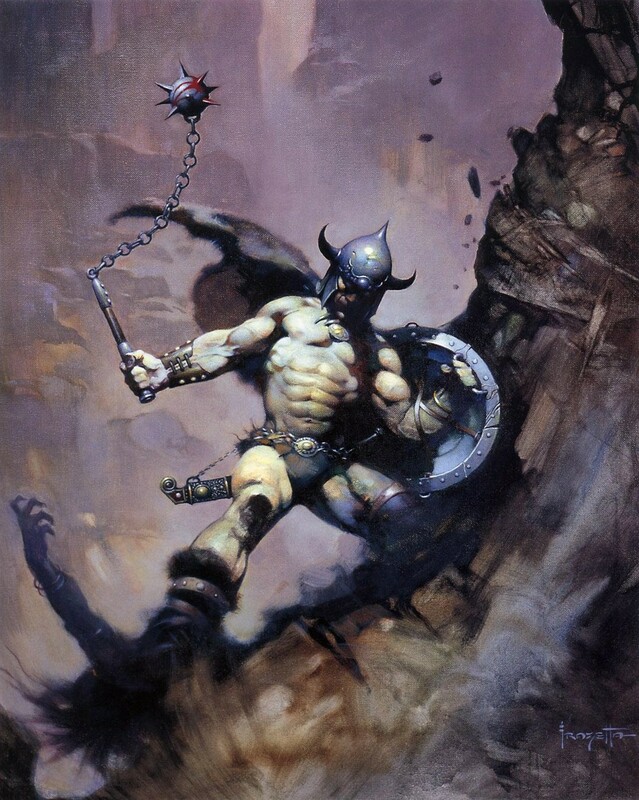 A bit of insight on the Large Frazetta National Lampoon Cover art. As representatives for Frazetta we handled the original sale of that cover. Some 25 years ago I asked Frank about the cover and his inspiration (aside from the beautiful woman). He giggled, paused and said the painting was an inside joke. It represented his version of the myriad of artists that had begun to mimic his work. In particular a trio of artists that routinely visited in the past, praised him as something more than human and then proceeded in written interviews to deny or minimize having been influenced by Frank. In the image Frank represents himself as the self assured, victorious heroine with caricatures of the three artists picking at the bones of Frank’s triumphs.